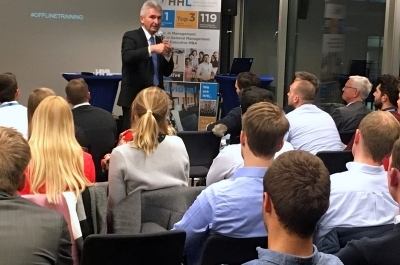 Review | Panel Discussion with Prof. Pinkwart in Cologne: "Start-ups as innovazion drivers"
What a fantastic event at HHL’s study location STARTPLATZ Cologne! “Startups as innovation drivers” discussed by Prof. Dr. Andreas Pinkwart, Dorian Proksch, Johannes Deubener and Dr. Marcus Kölling. Great opportunity to get inspired and to network within the HHL community!